A Shelter Wanted To Euthanize Him, But Vet Ranch Stepped In And Helped Him Make A Speedy Recovery! 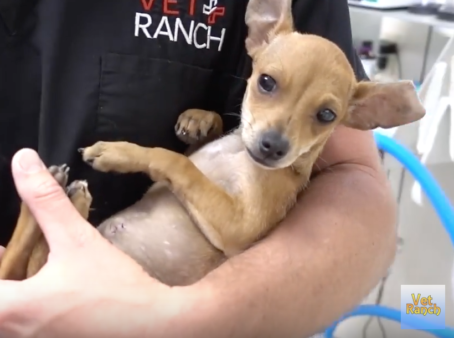 When this tiny Chihuahua arrived at the Vet Ranch clinic he was covered in fleas and ticks. But the main cause for concern was his hernia. The shelter he had been living in felt that the only option for this pup was euthanasia. Thankfully, the staff at Vet Ranch stepped in a brought this frightened little pup to Dr. Matt for help. And Dr. Matt did what he does best; he spared no expense in helping this little boy recover. 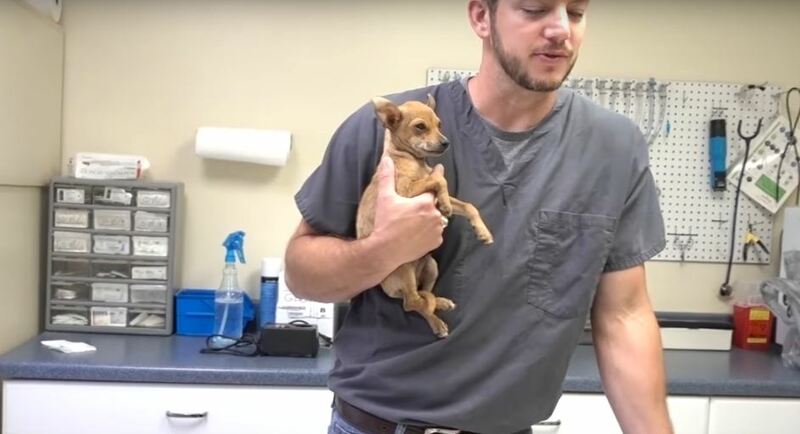 The tiny Chihuahua got the surgery he needed to fix his umbilical hernia and Dr. Matt did a fantastic job! And surgery wasn’t the only thing that Dr. Matt and his team at Vet Ranch provided this pup. They also gave him a name. Funnily enough, the beginning of this installment of Vet Ranch showed Dr. Matt and his team trying to come up with a proper name for their newest patient. After many failed attempts, Dr. Matt took to social media. It wasn’t long before the results started flooding in! Deciding to make choosing a name a group decision, Dr. Matt began reading out suggestions. It took a while, but the team decided to name their shivering little patient Speedy! And boy, does he live up to his name! Speedy’s surgery was a success and his recovery was just as successful. After a mere two weeks post surgery, Speedy was given a clean bill of health and sent off to live with his new humans! 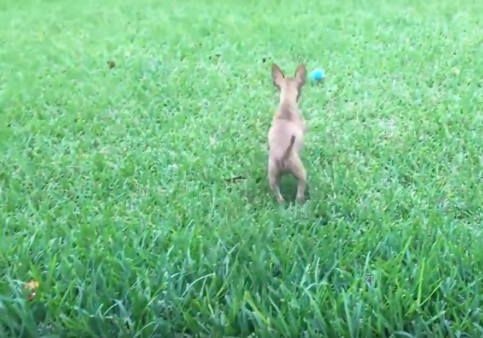 At his new home, he has been given the chance to run and play like any normal pup! He is now living a happy and healthy life and it is all thanks to Dr. Matt and his fantastic team!